Are 128 GB USB Flash Drives Real, or Fakes and a Scam? Be warned: there are a number of fakes out there. However, as of June 2009, there were three 128GB USB flash drives available from reputable companies. Kingston was the first, making an announcement mid June of 2009. Also in June 2009, Edge-Tech and Patriot announced they also now have 128GB drives. In 2008, a number of companies released 64GB USB flash drives. 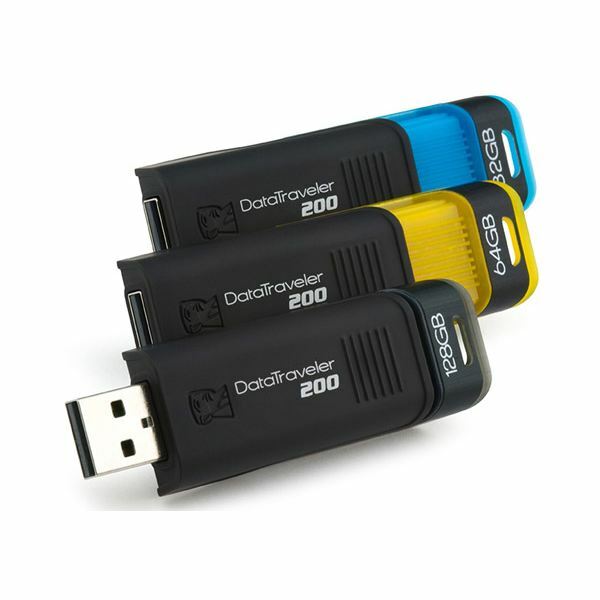 In 2009, there started to be claims that there are also 128GB USB flash dives available. While there are reliable 64 GB USB thumb drives available from well known online and off line suppliers, there were no actual 128GB capacity drives on the market until June 2009. There is a supply of counterfeit goods from China, made of hacked 512mb, 2GB and, 4GB flash drives formatted to appear as 16GB, 3GB, 64GBGB and 128GB flash drives. 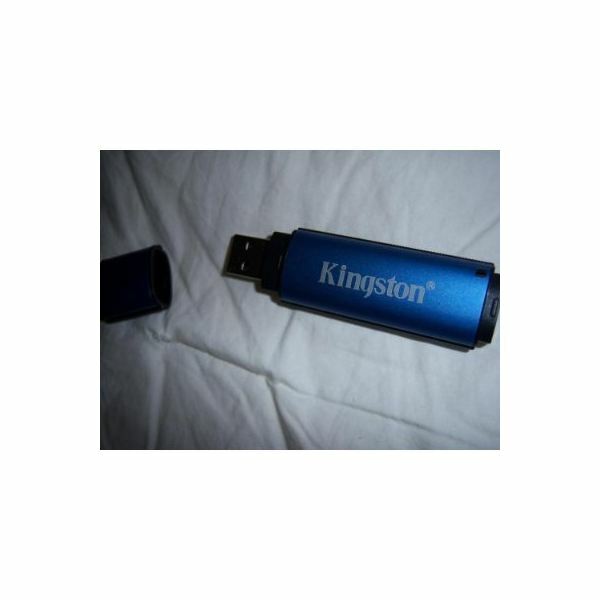 However, on June 15, 2009, Kingston announced they are selling a 128GB USB flash drive. 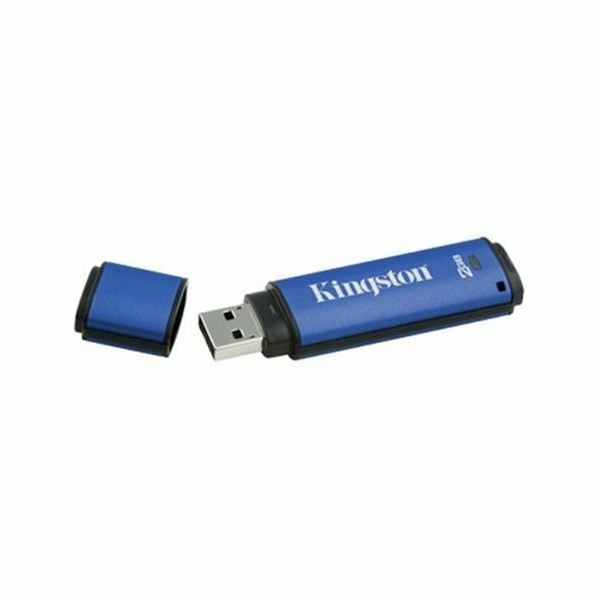 Because of the enormous number of fake 128GB USB flash drives on the market, it is very important to know what Kingston’s 128 GB drive looks like. 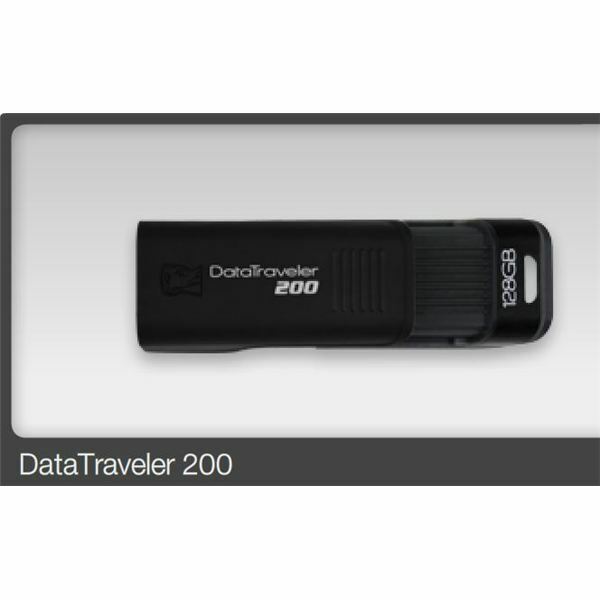 The drive is in the new Data Traveler series 200, which has three sizes: 128GB, 64GB and 128GB. The 32GB and 64GB drives are readily available from reputable online sellers such as Amazon and Newegg, however, Kingston said each 128GB drive (MRSP $547) is built to order, *updated*, but they are now available. 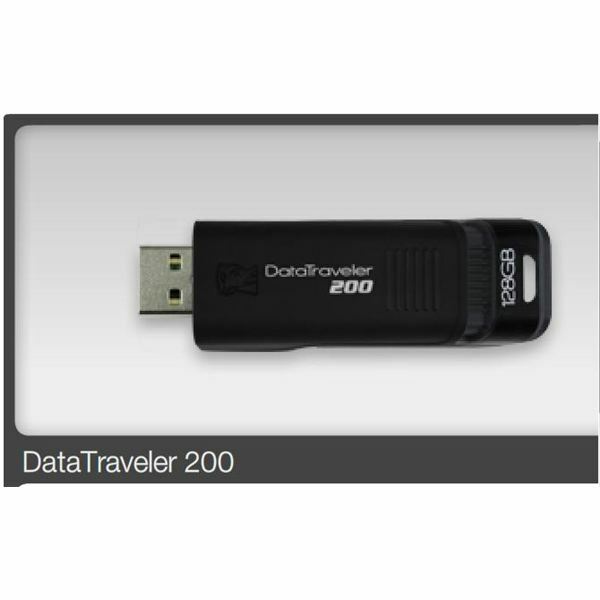 The Data Traveler 200 line is very distinct from other series of USB drives sold by Kingston. 128GB drive shown in open and closed state. *Update* In March of 2010, there are now six real 128 GB USB drives, and while some prices have come down a little, the cheapest price I have seen from a reputable source is about $300. Corsair, Super Talent, and Team x091 have drives available now. As well, a relatively unknown company called Unique IT has announced the 128 GB Integral Titan in the UK, although there are no details about its availability. 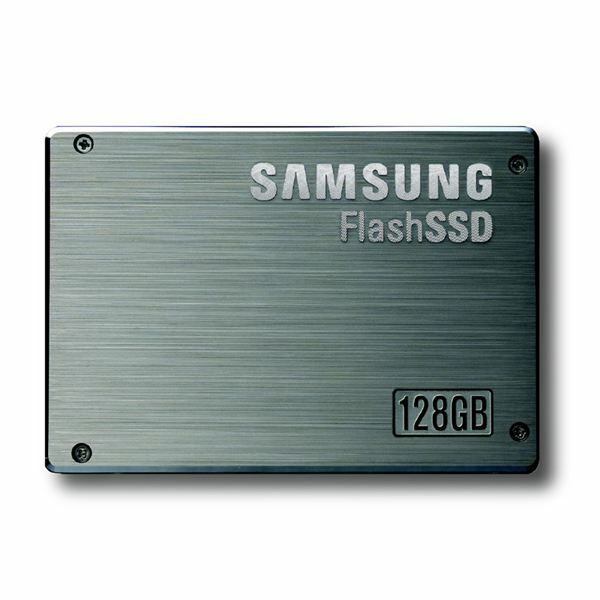 Be aware; there are not currently any 128 GB drives available from Sony, Samsung, or generic suppliers. The 32GB drive has a blue end with lanyard slot, the 64GB drive has a yellow end with lanyard slot, and the 128GB drive is solid black, as shown in the pictures above. They all also have a serial number engraved on the USB connector. If you see a Kingston 128GB drive advertised, and it does not look like the pictures here, it is a fake. Notice the differences between this drive and the fake shown on the next page. Keep reading for more info on fake 128 GB drives; don’t get swindled! *Update* April 2010 Counterfeiters have now copied the actual Kingston 128GB drive, and unfortunately, it is a good copy. However, it does not have a serial number burned into the connector. A rash of ads and offers on eBay and on a number of Chinese sites are offering 128 GB USB flash drives. Many of them are said to be Kingston drives, although there are also fake Sony, Sandisk Cruzer, Samsung, and other less well known names. These are fakes. Kingston does now make a 128 GB USB flash drive, but it does not resemble any current fake. 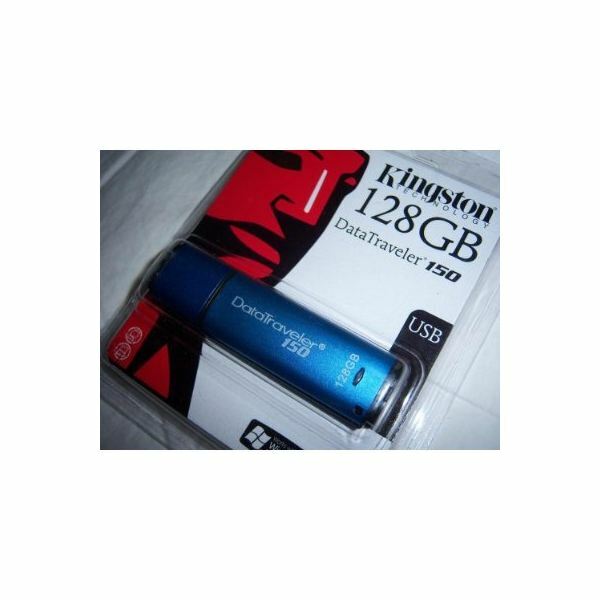 There is even a 128 GB Kingston drive currently advertised (as of April 25, 2009) on Amazon Marketplace, although it is not being sold by Amazon itself. Amazon about the fake Kingston 64GB USB flash drive is still active. <- In case Amazon removes all traces of the listing, this image is a screenshot of reivews of the fake drive. Many of these advertisers also offer these drives for extraordinarily low prices, along with smaller low priced drives. They are literally too good to be true. The cheapest drive you can find may well be your worst possible choice. SOSFAKEFLASH.com is a site dedicated to discovering and reporting fake drives, and the sellers and sites that sell them. Note the difference between these pictures and the real drive shown above. These drives have been repackaged, sometimes in a format almost identical to that of the real company, and they have been programmed to appear to be a different size than they really are. The drives often seem to work at first- sometimes not terribly well, because they are the discards which had too many bad sectors to be sold by the manufacturer- up to the actual capacity of the drive. So if you have a 4 GB drive that has been formatted to appear to be a 32 GB drive, all data you try to save on it beyond the actual 4 GB will be lost. 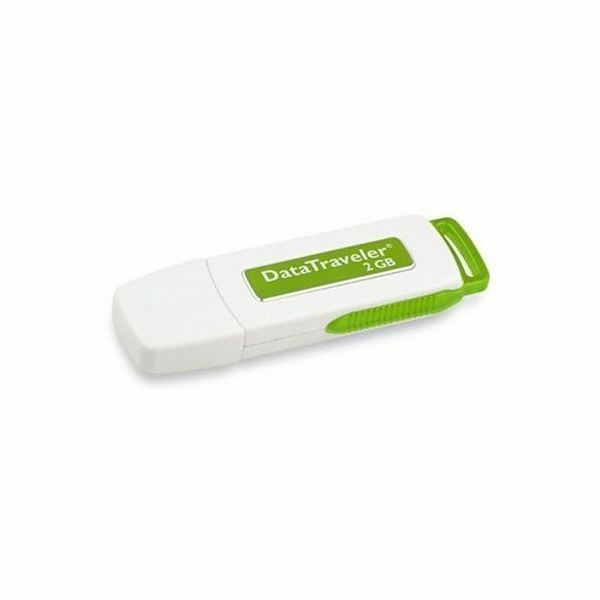 Here is a repackaged 2 GB Kingston Data Traveler USB flash drive sold as a 64 GB drive. You can recognized the color and style as identical to Kingston’s actual 2 GB USB flash drive. This Amazon Marketplace seller also showed a screenshot showing the doctored information which appears when the drive is accessed. Read comments on this drive from Amazon confirming this is a fake. As of May 2009, Kingston has stopped making 2 GB drives. While there are probably a few left unsold in seller inventories, if you see the lime green and white drive below, remember it was never made by Kingston in any other size than 2 GB. Even legitimate 2 GB drives in this style will no longer be available as new drives in the future. Do you think you have a repackaged USB flash drive? There is a freeware application available that can test USB flash drives and tell you their true capacity. Basically, it puts information onto the drive, a Gigabyte at a time, up to what the drive says is its capacity. Then it reads the information back off. It reports how much information was actually able to be read from the drive, giving you evidence of the true size of the drive. So our hypothetical 32GB drive, which is actually a 4GB drive, will be able to have approximately 3.9GB of data read back- and the program will report that 28GB of your data was lost. You can read a Google translation of the English version of the site of the H2testw program’s creator, or go to the original site to download this program if you have a suspect USB flash drive. SOSFAKEFLASH.com has a list they update regularly of sites and of eBay sellers who have sold faked USB flash drives. 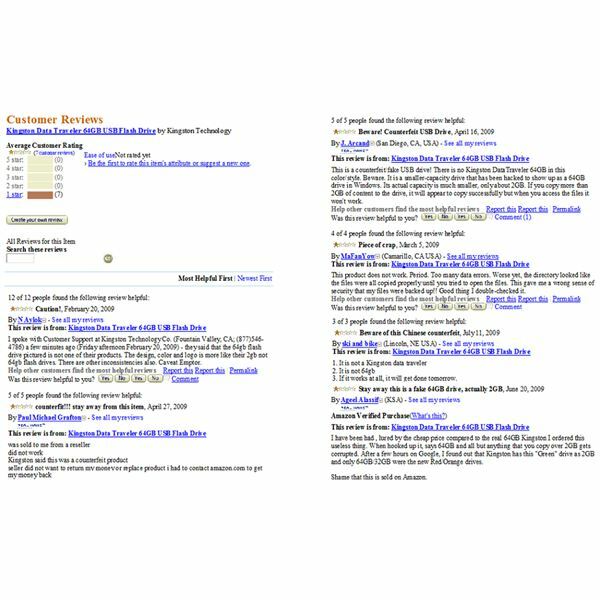 They update their list regularly, and a new version was released May 1st 2009. They also offer advice to people who bought a faked flash drive from an eBay seller on how to report their situation, and how to respond to blackmail if the seller refuses to refund your money unless you give them good feedback. They also have links to a tutorial on how to try to fix your counterfeit flash drive so it shows its true memory capacity. Other than the Kingston. Patriot and Edge-Tech, Corsair, Super Talent, and Team x091 have drives available now. As well, a relatively unknown company called Unique IT has announced the 128 GB Integral Titan in the UK. Other than these, the only 128 GB USB drives that are actually available are solid state drives, not USB flash drives. They also cost a good deal more than the $35 to $100 the faked drives are priced at, and by no means resemble a USB thumb drive. If it seems too good a bargain to be true- it very likely is a fake. At the very least, check the manufacturer’s site to see if they make such a drive- and what it should look like.